When you get carpet cleaning quotes, it usually doesn’t cover your upholstery cleaning needs. 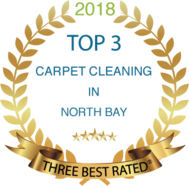 If a local carpet cleaning service doesn’t provide you with quality upholstery cleaning, you wind up having to hire a second company just for that. Don’t waste time or money on a second cleaning service. Call Carpet Cleaning North Bay; we are your local all-in-one carpet cleaners. Many homeowners rely on cheap over-the-counter cleaners for their upholstery cleaning needs. When you use Carpet Cleaning North Bay, you’re getting quality deep upholstery cleaning fast. We can remove stains and renew any upholstery fabric any time. Furniture takes a lot of wear and tear. From repeated daily use to catching food crumbs and stains, your upholstery can take a real beating. When you need your upholstery to look new again, you need us. When we provide you with our top quality upholstery cleaning, we use safe cleaners that won’t discolor or stain your furniture or fabric. You can call we confidence knowing your upholstery is getting the best clean possible. When you use us for your upholstery service, you know you’re getting it cleaned better than with anyone else. Other carpet cleaning companies just treat upholstery for stains. But we ensure your upholstery gets the same level of cleaning quality as your carpets. We use a safe non-toxic cleaning agent first, and then give it the same great steam clean that we give your carpets. Our experts dig down deep to extract even your toughest upholstery stains. Many homeowners get frustrated with their stained furniture. Some go so far as to replace it prematurely. Buying brand new furniture is a huge expense, we can clean your existing upholstery for a fraction of the cost. Don’t toss out your couches and sofas just yet; let our professionals make your upholstery look new again. Your furniture deserves the best treatment possible. That’s why we goe beyond simple spot treatments. We make sure that we don’t just treat and extract your stubborn furniture stains; we even protect it from future stains to leave your upholstery looking great longer. You don’t have to worry about embarrassing food or beverage stains on your upholstery when you use us. If you’re tired of having messy stained upholstery, you need the most trusted name in local upholstery cleaning. 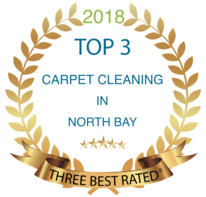 Carpet Cleaning North Bay provides the best service for your home, cleaning your rooms from the carpet to the furniture. When you call us, you don’t need a second cleaning crew for your home. No matter where your stains are, we are there to get rid of them. Don’t go another day looking at your stained furniture; call Carpet Cleaning North Bay to get your living room looking new again. ​With fast, reliable upholstery cleaning, we’ll restore your furniture better than most.